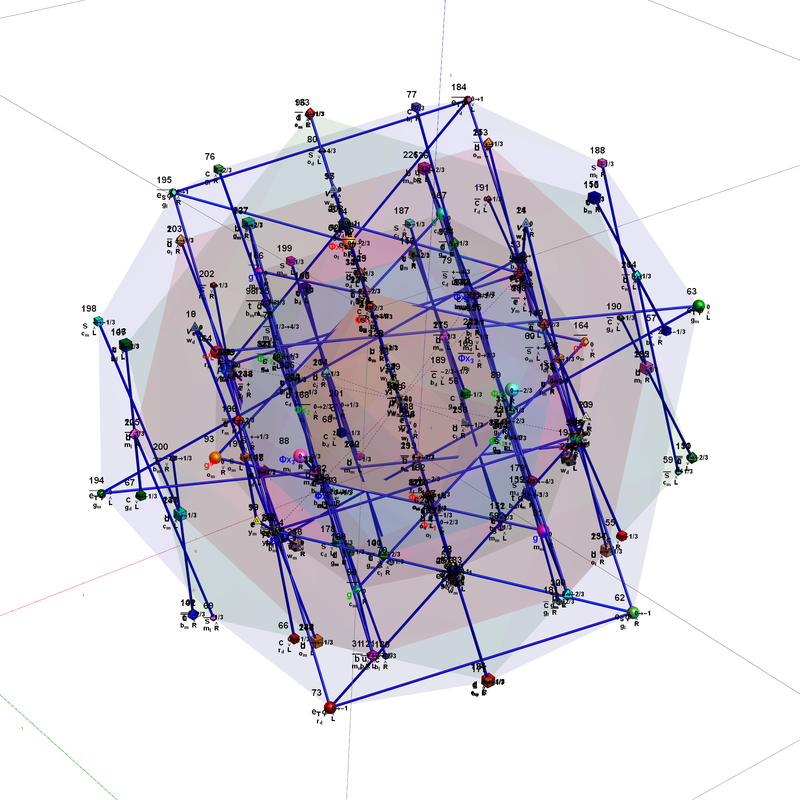 G2, F4, E6, E7, and E8 triality relations in 3D concentric hulls of E8 | Visualizing a Theory of Everything! Here are the G2 gluons connected by their trialities shown in a 3D concentric hull projection of E8 using the E8 to H4 folding matrix basis vectors. This is the 4th hull, which is the outer hull of the inner H4 600 cell (an icosadodecahedron). For more on E8 hulls, see this post. 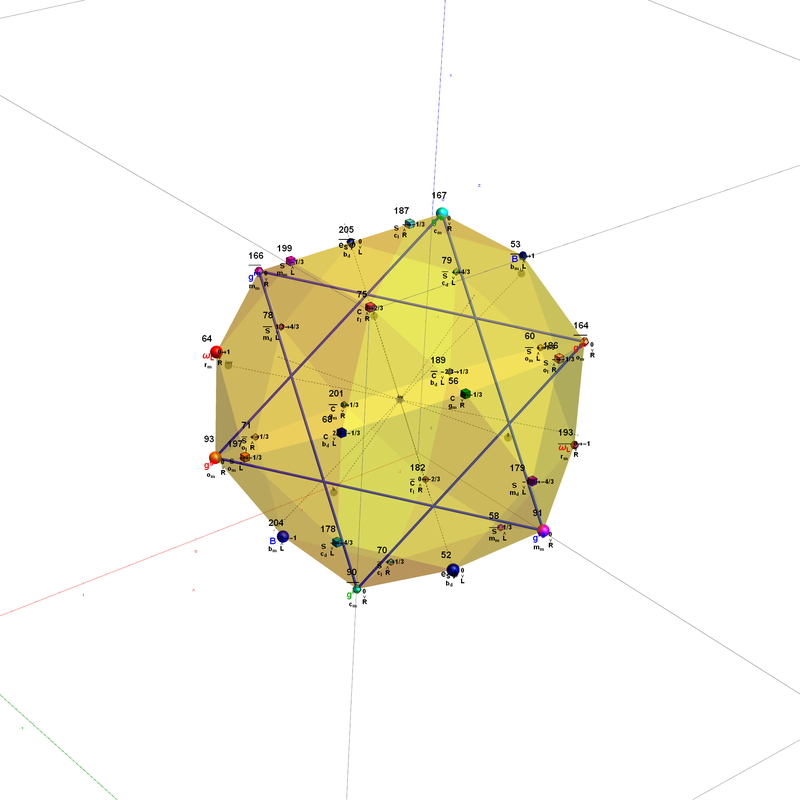 The full F4 group with 10 T2 and 12 T4 trialities affecting the bosons is contained in the outer icosadodecahedron (1st hull) combined with the 3rd (quad icosahedral) and 4th icosadodecahedron hulls. 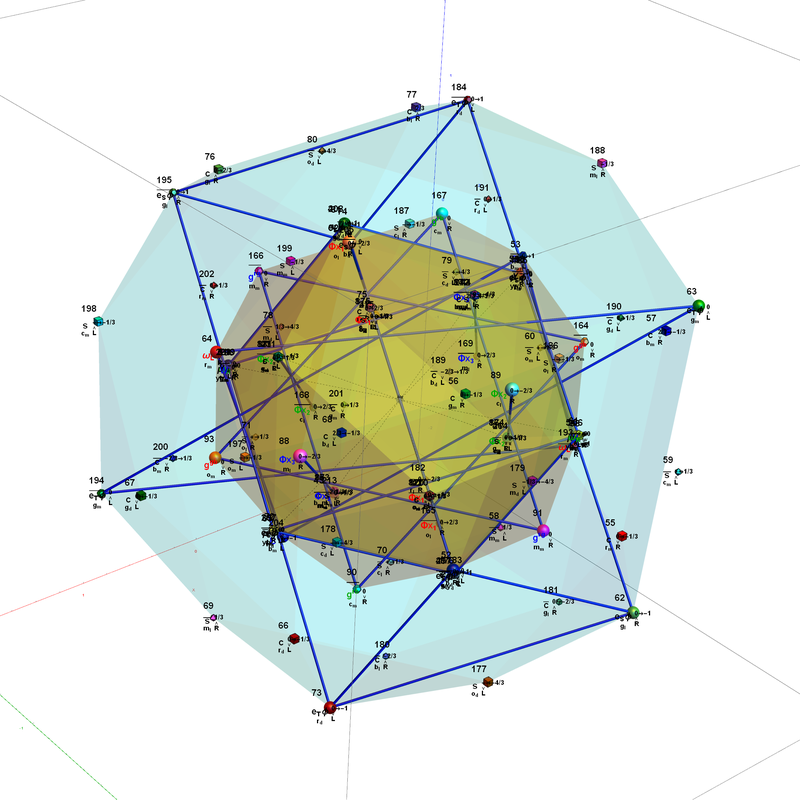 It is interesting to note that the two icosadodecahedron hulls comprise the 60 vertices of D6. Below is the full E8 with all trialities shown in 3D concentric hull projection. Wow – that is nice! Remember, you heard it here first!